With the tiring academic schedule and exhausting examinations that you face as an engineering student, you need a refreshing break now and then to lift your spirits. This can vary from catching a movie with your buddies to playing your favourite sport. But doing these activities will just help you to relax and escape from your day-to-day schedule. It will not help you to restore your spirit and boost the innovator within you. So, if you want to bring back the innovator within you for which you set out to pursue engineering initially, you need to do some activities that will spark your curiosity towards latest technologies. Most engineering students go for technical festivals that happens at various reputed institutions and participate in some technical events to achieve this. Attending the technical festivals that are hosted by premier institutions like IITs will give you a very good exposure to the latest technological advancements and takes you closer to the innovations happening all across the globe. You can also attend the robotics workshops that are conducted as part of their technical festival to get good technical knowledge and hands-on experience on latest robotics technologies. As robotics is one of the most researched technology today, participating in such workshops will make you understand the current industrial trends and advancements in an exciting manner. These robotics workshops will not only help you to acquire latest technological knowledge but also increase your curiosity & desire to learn new technical concepts and bring out the innovator within you. We have seen a number of instances where a lot of students got influenced by attending such innovative robotics workshops in IITs and developed a thirst to participate in national level robotics competitions to showcase their skills. In this article, I am suggesting some tips for you to make the most out of robotics workshops in IITs. 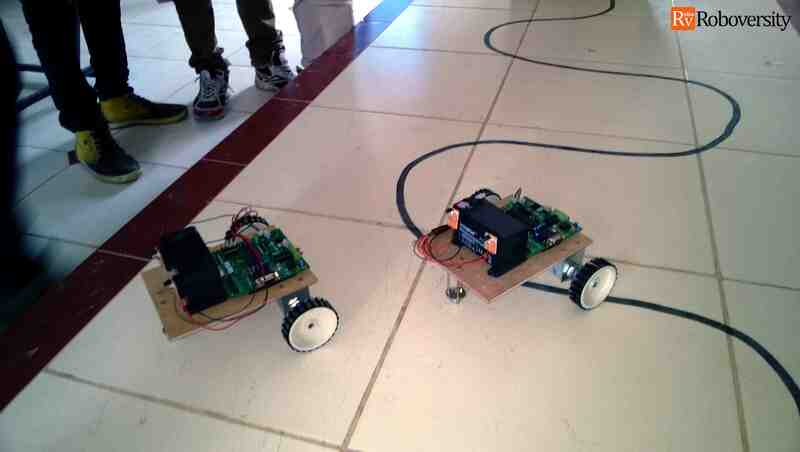 So why you should attend robotics workshops in IITs? How can you register for these robotics workshops? Since the technical festivals organized by the IITs attract a huge crowd, you need to register for these robotics workshops well in advance to confirm your participation. Going for on-spot registration for these robotics workshops is not recommended. As these technical festivals happening in IITs attract a large number of engineering students across the nation, the organizers of such fest will launch their official websites at least 2-3 months prior. You can go through their website to find information about the workshops and register directly. You can also subscribe to their website newsletter or follow their official social media pages to get timely updates about such robotics workshops in IITs. There are also various public forums available that lists the workshop details, you can check their pages periodically to stay updated. For instance, Skyfi Labs also organizes various technical workshops as part of the technical festivals of IITs, NITs and other esteemed universities. Whenever such technical workshops are scheduled, the details will be updated in our website. Therefore, students who are looking to attend such workshops can check the details with our forum and register directly with ease. Know your facts - Although these workshops are organised in IITs, they are not organized by IITs: Yes, don’t get fooled and attend them thinking they are organized by IITs (especially those in techfests). The techfest organizers (students mostly) invite other companies to conduct these workshops. Most of the times, the companies who pay more to the organizers get a chance to conduct these. And so they are not conducted by IITs. These workshops don’t give IIT Certificates: IIT has nothing to do with these workshops and they are organized by techfest teams who invite other private companies to conduct them. So the certificate you get is from the company (and maybe the techfest and not from IIT). A lot of students think it is IIT certificate and make mistake. Don’t do that. Quality is not guaranteed just because workshop is happening in IIT: As I mentioned above, the workshops are not conducted by IIT faculty and are conducted by private companies who pay a lot of amount to the techfest organizers to get this slot. So the quality you get will be the same level as the quality of the organizing company. So instead of blindly going thinking it is IIT, we suggest you to look at the organizing company and do some research about their quality standards. You might ask does IIT not take care of this before allowing them? – Unfortunately from what we observed, they don’t. IITs don’t even know who are the faculty coming to these workshops and what content they are going to teach. A number of times various companies approached us asking to send out trainers to the workshops they have agreed to conduct in IITs! Don’t attend such events! What are the common topics on which Robotics Workshops are conducted in IITs? What if you can’t travel to IIT? Or you don’t want to waste time and money to travel to IIT? Can you still learn these useful courses? We at Skyfi Labs have developed some amazing robotics project-based online courses which make it very easy for you to learn and build robots from your home itself. These courses follow an innovative methodology of Learn-Do-Review to ensure that you learn the theoretical concepts and get good hands-on experience building robotics projects. With the kits shipped to your doorstep and 1-1 technical assistance provided, building 100% output guaranteed robotics projects was never this simple. Students from 25+ countries have experienced how easy it is. You can also try our courses for free before choosing to pay and getting the kit at your home! Do let us know about your experience with Robotics Workshops at IITs by commenting below.